Cool game, I had some good time playing it, forgot fora moment that I'm in a hurry with reviews :D I had some troubles until I realized that clouds won'tcollide with my balloon ;) Please keep up good work! Great game. Feels like a real hot air balloon! (As if I know what that feels like) I do wish you could advance the text boxes with the keyboard so I wouldn't have to keep moving the mouse between attempts. Also nice song! Thanks, Figy! My thoughts exactly with the mouse/keys issue. My after jam release will fix this. Plus add levels/game play. Great to have something worth polishing a little bit after a jam! Thanks again! Fun game, and have room for a lot of extra gameplay elements. Yes! More game play on the way! Adding a few new elements and 5 more levels, for a total of 10! I have even more ideas, but the next project is always calling! Still, if enough people seem to like the game, I could always add more. Thanks! Great work, I really enjoyed the gameplay! It feels realistic enough while being relatively simple to control. 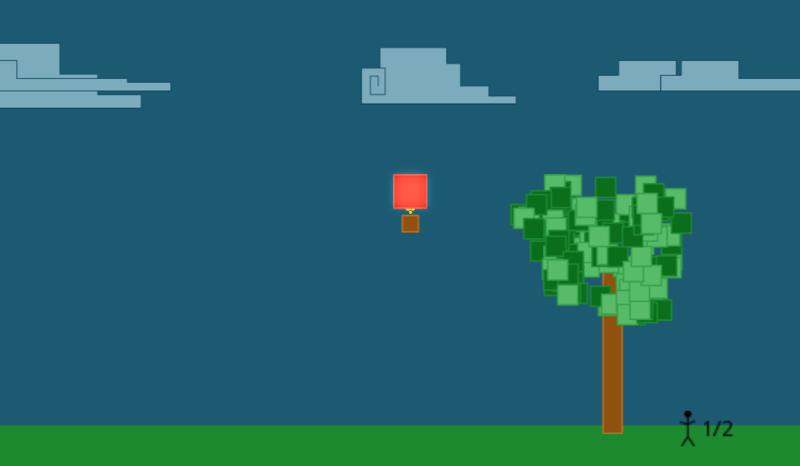 The art style with placeholder squares turned out quite nice IMO, especially the trees and clouds. It might have been nice to also keep a blocky style somehow for the passengers/landing areas and copters. You're right on about the art: to save time I started with the block style but then decided to keep it. You may have noticed that the helicopters don't share this style either. I'll probably change it to match. 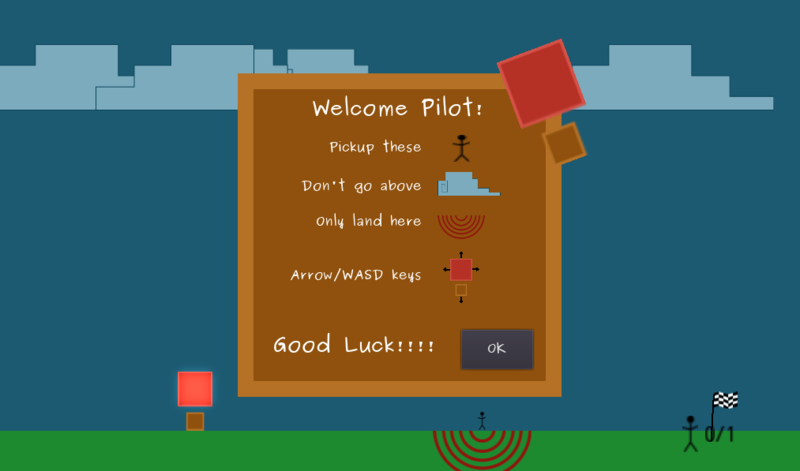 And the landing zones too. I've gotten enough feedback about this one that I'll be making an update. I really wanted to make more levels for one and I have other game play ideas. Nice game! Really liked the progressive instructions and learning curve. 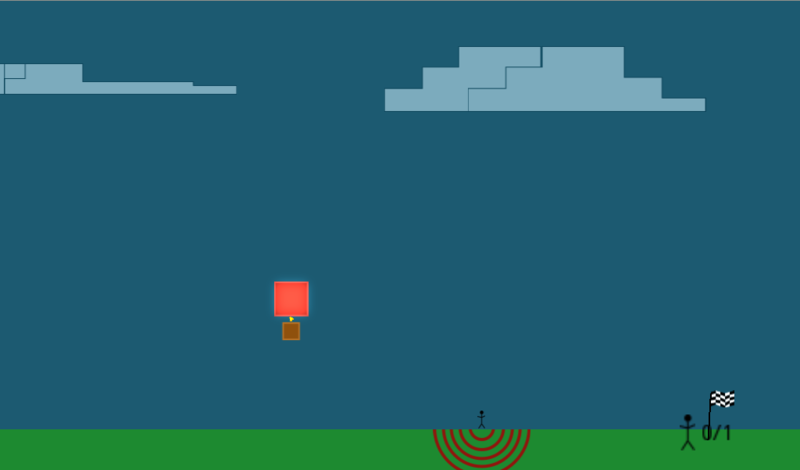 This is a nice game, especially after realizing that you can almost stop the balloon. Just go up, let the wind carry you then press left when nearing the person to pick up (it slides a bit and slowly drops). 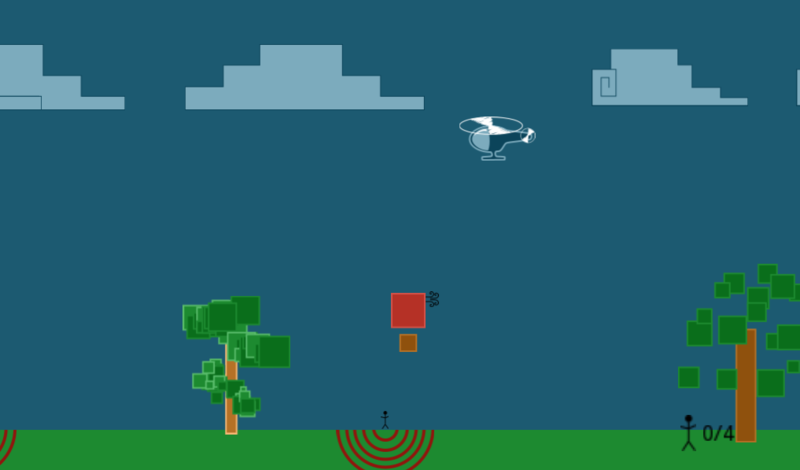 Gets quite fun, especially as new obstacles (like telecopters) appear. Good job. 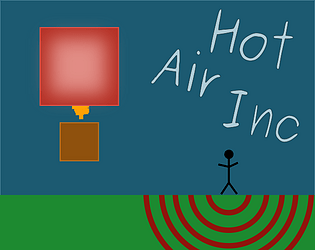 Really enjoyed your take on hot air balloons! I always loved games like this. The sound effect choice was good too. I can't get past the big tree though! Thanks, @pandahead! The trick with the big tree is the really lay on the burner to gain the height! Then you can coast back down to pick up the next passenger. The difficulty curve on the game definitely needs some tweaking! I'll work on that while the voting is going on and post an update afterwards. I'll try until I get it then! No problem, I'm excited to see more updates if you continue on!